According to the author, ninety percent of Ohio Wesleyan University in Delaware, Ohio, is haunted. 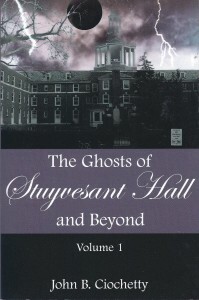 These are stories collected from eyewitnesses: students, security personnel, professors, other faculty and staff about Stuyvesant Hall, Hayes Hall, Welch Hall, Phi Delta Theta, Alpha Chi Chapter of Chi Phi Fraternity, Sanborn Hall, Blue Limestone Park, Austin Hall, the red slipper murder and the haunting of Cynthia Pheil, the Perkins Family Legacy, and Ohio Wesleyan’s Fraternal Order. Stuyvesant has a whole host of spirits: a faceless woman in a white dress, a spooky young girl dubbed Alyssa, a ghost dog, and various strange noises like the sound of a bouncing ball that could not be located, the sounds of a party going on in the recreation room, which was being renovated, a haunted radio, and a telephone that rang despite being unplugged! 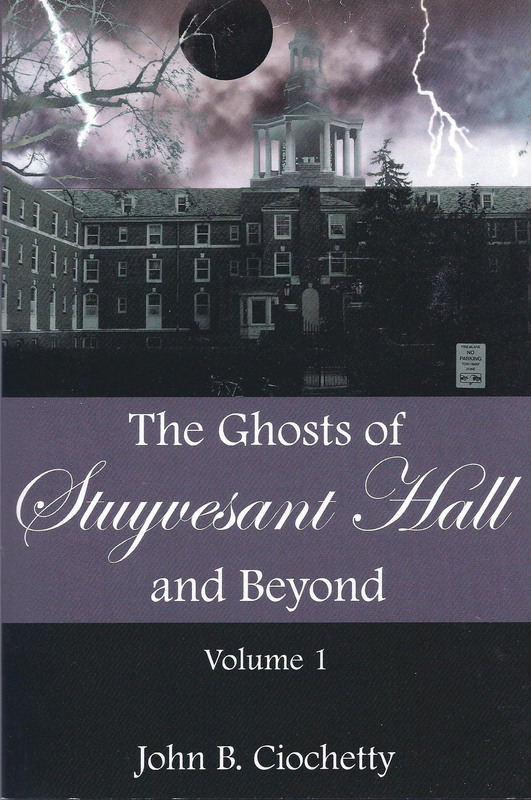 A very interesting book combining true history and eyewitness accounts of campus hauntings.